Launch of Newly Expanded Sumitomo Technical Center | AIMPlus Advance Industry Media Plus Co.,Ltd. 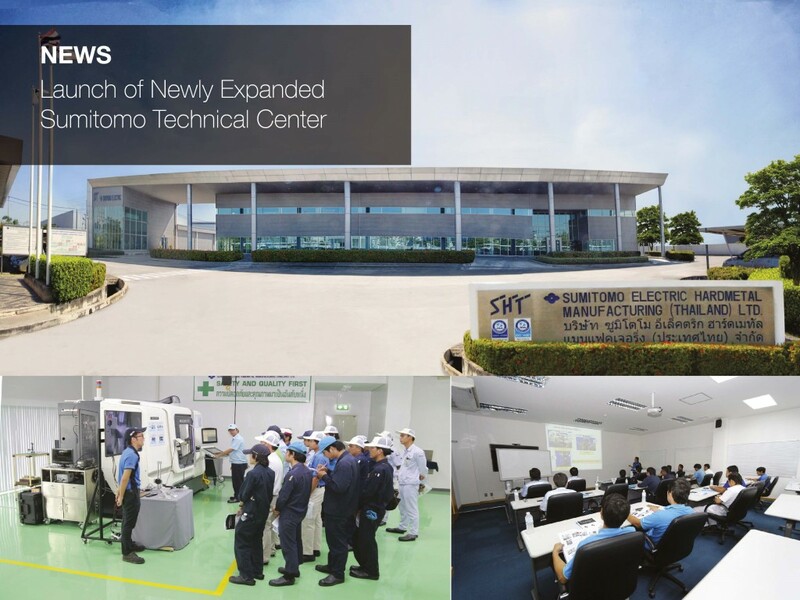 Sumitomo Electric Hardmetal Manufacturing (Thailand) Ltd. (SHT) set up pioneering technical center in Thailand to provide metal-working training and other technical services in collaboration with Sumipol. So far, 4,500 persons have attended various training programs, having a significant impact for Thai industry. Having operated for 10 years, SHT recently renovated, expanded, and modernized the facilities with latest CNC machines under the new name, “Thailand Tools Engineering Center” (Ti-TEC) to provide more comprehensive metal-cutting training e.g. turning, drilling, and milling together with test cut service. Particularly, the courses are reviewed and added with new ones to meet the needs of customers, leveraging the expertise from Japan.